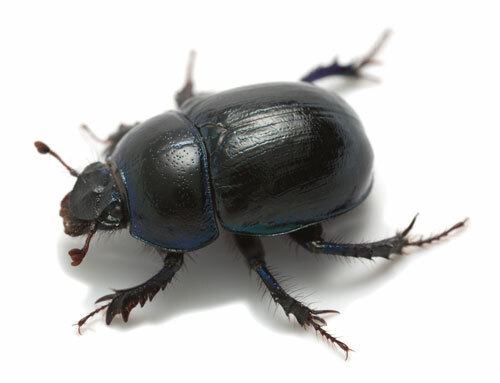 Beetles, or also known as Coleoptera insects, are the largest number of subspecies in the world (which is around 40%)! This group of species is so large that one out of every four animals on earth is a beetle! This means there are around 350,000 identified species, but millions more that are left unidentified. The beetle possesses a hard shell, has four wings and legs, and it’s size can range from 1/16 of an inch to 6 inches! Beetles do not have very good eyesight, so they will communicate through pheromones, or vibrations for sounds. A few common types of beetles include the Japanese beetle, Carpet beetle, Asian Lady beetle, Flea beetles and Bark beetles. Most beetles are brown and black, but a few types can be very colorful. The average lifespan of the beetle is 3 years. The beetle typically tends to feed on debris and fungi, but the larger beetles have been known to eat an animal as large as a small bird. Beetles possess an open circulatory system that will use the fluid inside their own body. People will often use beetles (one such as the ladybug) to help control common pest issues they may have. Since there are so many different types of beetles, their attitudes and habitats can be extremely diverse. A beetle can be found in almost any type of habit; dry, warm, wet and cold, in plants or dead wood. They can adapt to any environment and this is why they are so common. The beetle’s larvae normally live inside their own food source, feeding on plants and meat, while the grown beetle’s diet is nectar, fruit and plant materials. A few types of beetles are not considered pests such as ladybugs and lightning bugs, which can actually benefit the environment. The ones considered pests usually cause harm by eating crops, passing diseases, and possessing a harmful, poisonous bite. One effective way to get rid of harmful beetles, such as the Japanese beetle, is to drown them in either dish-washing detergent or water. Another option to consider is purchasing the product Milky Spore, and doing frequent treatments to your lawn. The best form of treatment to use depends on the type of beelte, and you should contact your local pest exterminator if you have any issues or questions with the type of beetle you are dealing with.